This entry was posted in Food, Meat, Vegetables and tagged bonfire night, chilli, chilli jelly, fireworks, red cabbage, sausages by Anna. Bookmark the permalink. Thank you Vanesther, I love spicy things too so I will have a look! Thank you so much Karen for your lovely comments! I usually have finished my Christmas gift shopping by august so I agree with the plan ahead mentality. 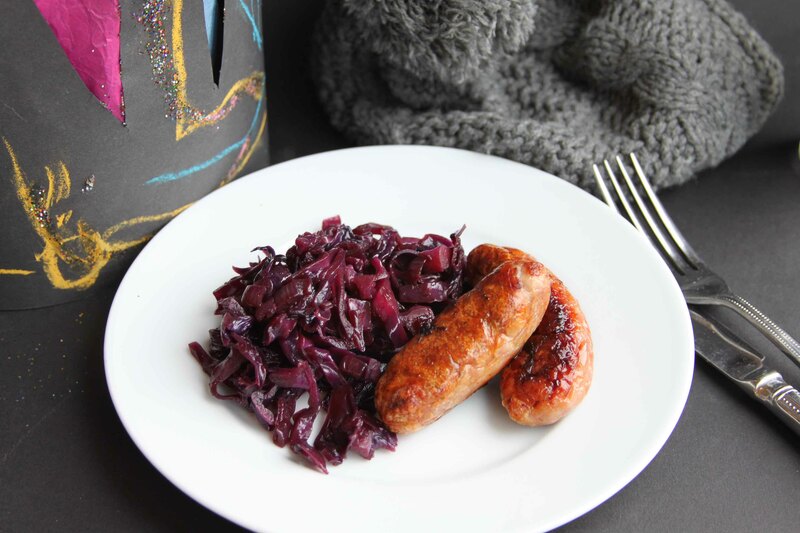 Love red cabbage so obviously love this recipe. Anything with a touch of spice is a winner at this time of year. This looks and sounds delicious and warming too. So pleased to have stumbled across your blog with so many varied recipes in previous posts which really appeal to me. Delighted to have subscribed by email. Thank you Karen, let me know! Y-U-M! Sounds fabulous. I love red cabbage and your version sounds delicious. Thank you – give it a try! This looks RIGHT up my alley – that cabbage sounds delicious! This looks delicious. 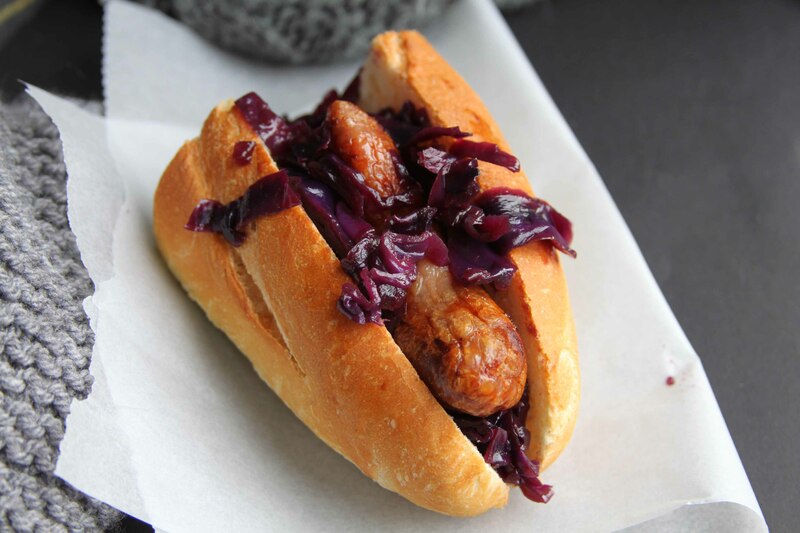 I love red cabbage, especially spiced up and paired with the sausage! Looks lovely. I don’t often get round to cooking red cabbage apart from at Christmas, but this is tempting me. I have a jar or two of crab apple chilli jelly and like your idea of adding heat this way too. I find a whole red cabbage makes a huge amount so you could make some now (with your crab apple chilli jelly – lucky you, how delicious!) and then freeze the rest until Christmas.